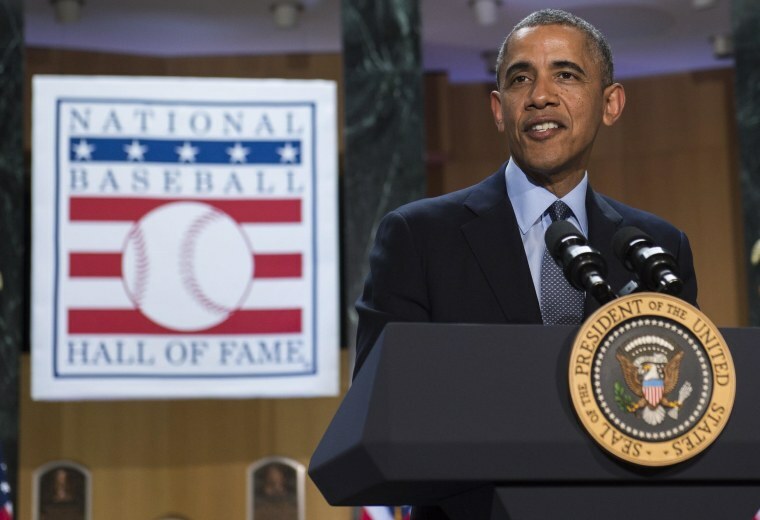 President Barack Obama on Thursday used America’s pastime to tout the economic benefits of tourism and promote new initiatives aimed at encouraging international travelers to visit the United States. The president visited the Baseball Hall of Fame in Cooperstown, N.Y., to unveil measures his administration is taking to make it easier and faster for international travelers to get into the country. The policies will result in more dollars for local economies, he said. Obama signed a presidential memorandum giving the heads of Homeland Security and Commerce Department four months to develop a plan to reduce wait times for international travelers and work with 15 of the nation’s largest airports to streamline entry into the country. “There was also some interest in the jeans I wore that day, but Michelle retired those jeans quite a while back,” Obama joked.